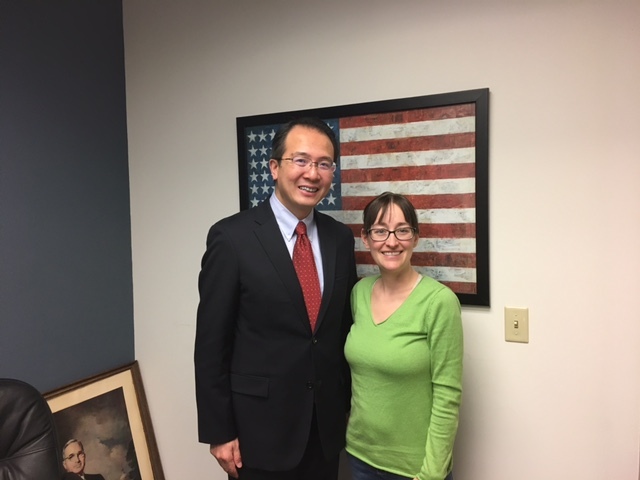 On February 3, Consul General Hong Lei visited Missouri Senator Claire McCaskil’s office in Kansas City and met with primary liaison Brook Balentine. Consul General Hong said that China is the third largest trading partner and export market of Missouri, Chinese companies have created over 4,000 new jobs for Kansas, and over 6,000 Chinese students study in Missouri. China has become a crucial partner of cooperation for Missouri.Sino-US bilateral trade volume has reached almost $ 560 billion and mutual visits have exceeded 5 million times last year. This is what we should cherish and maintain. China and the US are influential countries in the world, and friendly cooperation meets the common interests of both. China is willing to work with Senator McCaskill to facilitate bilateral relations and benefit the two countries and the people. Balentine said that US-China relations have achieved remarkable outcomes. Senator McCaskill values US-China relations and has paid several visits to China during which she was deeply impressed. The office is ready to maintain communication with China and create a favorable environment for Chinese companies and people in the US.